Hi readers! It’s been a long day and I’ve been thinking about what to write next… should I follow a timeline order of what games I’ve played? Or should I just post them by consoles or platforms? Now, I’ve decided to publish what game comes in my mind while it’s “fresh” because it helps me recall of how well I’ve played that game and this time it’s Super Mario Bros! Have you played the game when you were young? I’m sure you did, it was so popular in the early 90s that every time we buy a new game for our NES, the game is still displayed in the market and are still sold even a year or two after it’s first release. The story is unique, it starts with Mario and his brother Luigi going on an adventure to rescue the abducted Princess Peach from King Koopa. The game play was good, I remembered how it expands from one world to another making each phase more difficult as the story goes on. 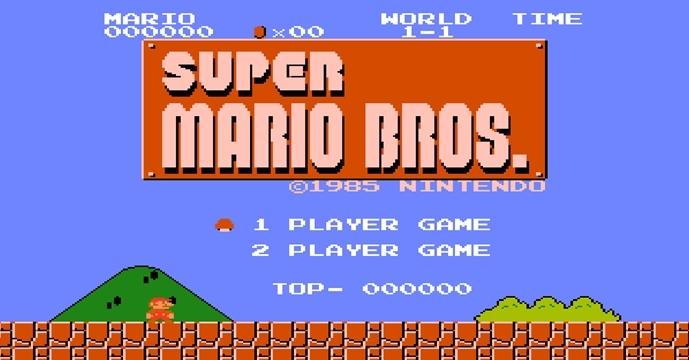 Since the game can be played with two players, my younger brother was always Mario, because he’s the main character, the protagonist and basically the name of the game. I didn’t argue, cause I thought Luigi was better and basing from the picture of the cartridge-he is taller which means he can jump higher and run faster? (laughs), don’t judge, I didn’t know that they had the same function or abilities. The controls are simple, making it easy to control your character, pressing A for jumping, B is for spewing fireballs when you’ve acquired a flower power up, pressing and holding B allows you to sprint. It only gets difficult when you encounter fast moving enemies, like the Lakitus, I personally hate them, they are koopas who ride on a cloud and drop spiky things on your character, the saddest part is they are at the top of the screen making it hard to kill them and outrunning them will do no good since they follow you throughout the end of the stage. I’d like to conclude that Super Mario Bros. is a fun game to play, especially the stages are getting harder, testing you if you’re capable of adapting to new obstacles you need to cross to save the poor Princess.